+ Something different from the usual run of JRPGs. The Underworld is in danger. 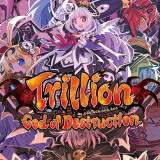 Trillion, the God of Destruction, has returned, and not even Overlord Zeabolos is powerful enough to stop him – in fact, he gets killed during their very first encounter. But when Zeabolos is revived by a mysterious priestess named Faust, she agrees to help him defeat Trillion – by training up his subordinate Overlords until they are strong enough to put a dent in the God of Destruction. Can Zeabolos and Faust help the Overlords put a dent in Trllion’s armour? Given that it combines the talents of Compile Heart and selected members of the Disgaea staff, Trillion is a game that felt instantly familiar the minute it loaded up. An underworld full of demons? Check. Cute girls embodying various JRPG stereotypes? Check. Gameplay interspersed with lengthy character exchanges? Check. Music by Tenpei Sato? Yes, it even has that too. With that in mind, right from the start, I had mixed feelings about how enjoyable the game would be. Would it be quirky and original, or was it just going to be more of the same from a studio who seems to have spent the last couple of years flooding the market with Hyperdimension Neptunia games? The answer is somewhere in between – Trillion is certainly trying to be something a bit different, but ultimately it fails to succeed. 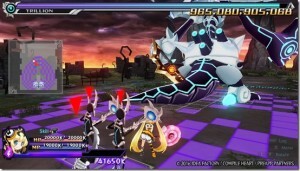 In fact, the core of the game feels suspiciously like a retread of Hyperdimension Neptunia: Producing Perfection – a fact that people might not pick up just because the latter title was so forgettable. You have a limited amount of days before the God of Destruction awakens, and in that time you can spend your days training, interacting with your chosen Overlord, or resting to reduce your accumulated fatigue. Various events will randomly trigger that either help or hinder you, and the overall effect is that you accumulate points which can be used to boost your stats. It’s very menu heavy, and seems to be aimed more at fans of adding numbers to spreadsheets than anything else. If that was all there was to this game, it would rank with Producing Perfection as a mildly entertaining diversion, but it’s clear that Trillion wants to be something more – and that makes it all the worse when it fails. The developers have also included roguelike elements in the game, but where I was expecting some meaty dungeons to explore, all I got was a horribly pared down experience. There are three places where the roguelike experience comes into play – regular practice fights against a simulation of Trillion, the battles against Trillion himself, and the ‘Valley of Swords’, a training dungeon that you’re periodically allowed to visit. Where the former two are just slow, tedious and repetitive, the Valley of Swords is a real squandered opportunity. It’s a single-level dungeon where you can only take a limited number of steps before you must return, making for a highly restrictive experience. 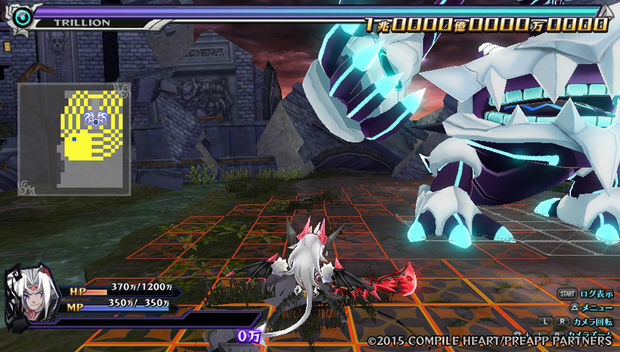 The one place where Trillion is surprisingly successful is in its story and character development. 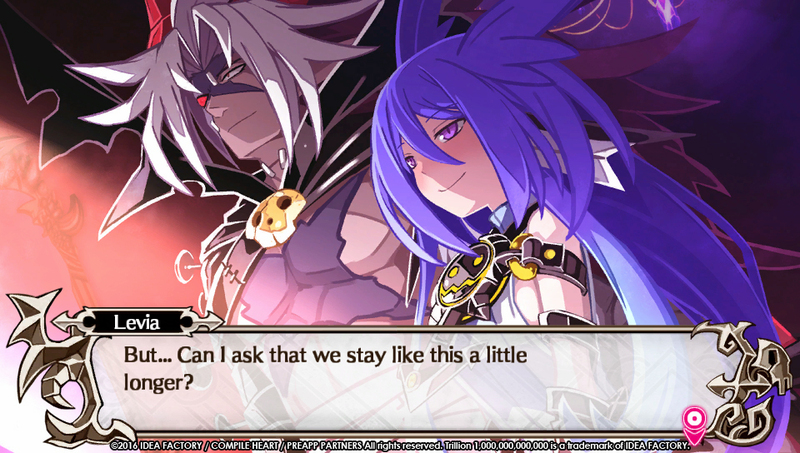 Having long since tired of the shallow jokes and fourth wall breaking of the Disgaea and Neptunia series, I found myself pleasantly surprised here. With over 1.2 million words of dialogue, there’s a lot to read through, but usually the cutscenes are enjoyable rather than tiresome, and the characters likeable rather than annoying. Visually, Trillion boasts some attractive character designs, but unfortunately other aspects, such as dungeons are dull and repetitive. Tenpei Sato’s quirky musical style will be instantly recognisable to Disgaea fans, and by this point no game about an underworld would be complete without it. The original Japanese audio is available, as well as a serviceable English dub. 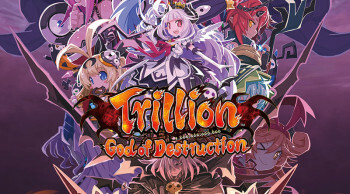 Trillion is akin to those meals you make from leftover things you find in the fridge – a hodgepodge of poorly developed elements that, on close inspection, don’t really go together. Despite some good efforts with the story and characters, the actual gameplay leaves much to be desired, ensuring that this game falls far short of its potential.